If you know me personally or follow me on social media, you know my love for hummingbirds. We keep multiple feeders around our yard and love watching those tiny beauties stop by for a sip of sweet nectar. Although this is a very enjoyable hobby, there is an ugly side to it. Earlier this week, one of my feeders was hit by a swarm of bees (probably 200+) and they cleared every drop of nectar. I suspect the fact that the feeder was dripping was attracting them even more. I keep a feeder on a window hook that is attached by suction cups. The problem with the feeder I had on there was that it faded and dripped too much. Also, with the South Carolina heat, mold would start to grow so fast and cleaning the feeder became an unwanted chore. I shopped around at local stores and searched online for something small, lightweight, and drip/leak proof. 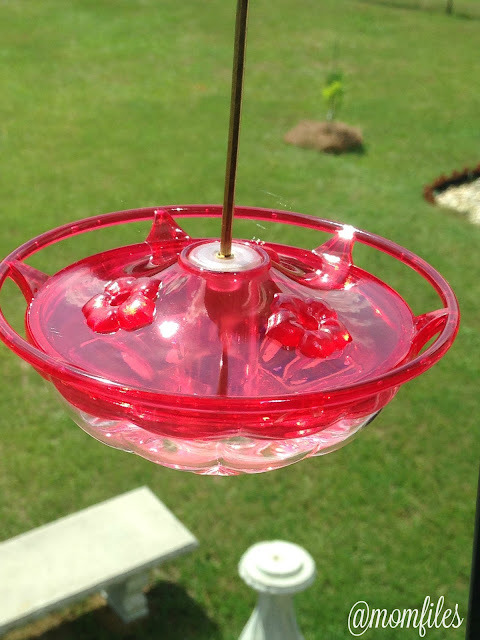 I decided to take the chance with the Hummzinger Humm Blossom Hummingbird Feeder. Isn't it so pretty? I like that it holds only up to 4 ounces of nectar which means I can mix it up fresh daily. 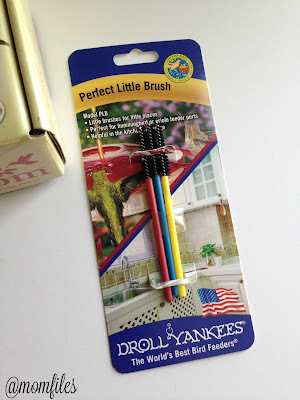 I also purchased these cute little brushes to clean the feeding ports. They are the perfect size and can be used for other small cleaning jobs. My favorite thing about this feeder is that you can see the entire hummingbird while it feeds. How could anyone not enjoy looking at this all day? Look at those precious feet! This hummingbird feeder is hands-down the best one I have ever owned and I will be purchasing two more to replace my other ones. Oddly enough, they come in purple too. 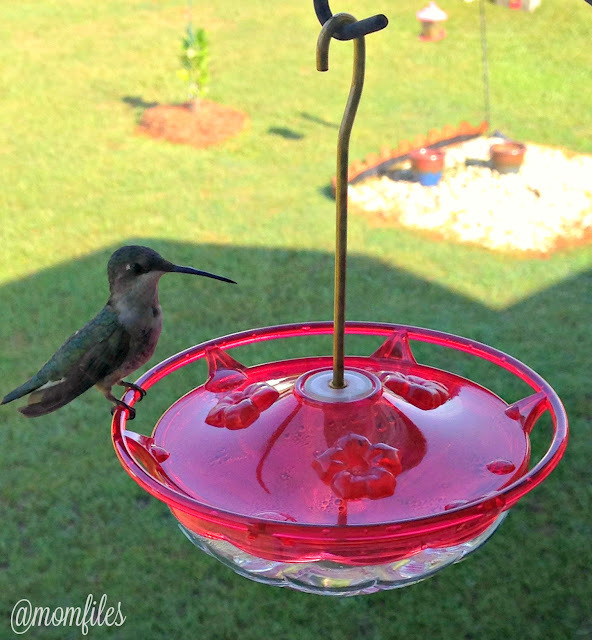 I read the reviews and people say that the hummers are attracted and still feed regularly. I'm not sure I'm brave enough to go with any color aside from the traditional red. I hope to be able to capture some photos of multiple birds feeding at once. It's the sweetest sight! Are you a Crazy Bird Lady like me? I don't own a bird feeder but now after reading and seeing this, I want to have one. I don't think I've seen any humming birds here but maybe I will after I get this. Thank you!